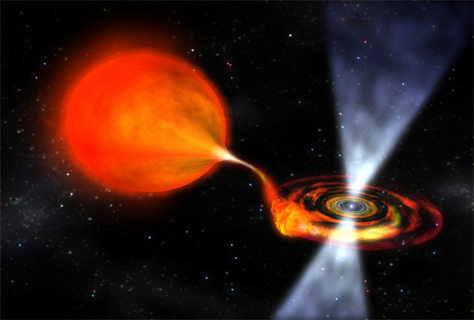 This artist's impression shows a spinning neutron star (pulsar) approximately six miles in diameter. It siphons material from the larger companion, and when enough accumulates, it triggers a thermonuclear explosion. Astronomers watch these emissions to calculate the neutron star's rotation speed.